Welcome to Cosmic Oneness, Welcome. Greetings, I am Lord Sananda at your service. It is a pleasure to be here this evening with each of you; we are going have a very beautiful night, and we are so happy that each of you are participating in the active form. The Full Moon has just been activated, and within those activations the energies are still ongoing. Some of you are probably feeling the effects very tremendously, some of you may be more balanced within those energies. As always the Full Moon is of letting go of what no longer serves you, so if you have not done it on your own, you were probably asked by your higher essence. So if you have been feeling out of sorts for the last few days, if challenges have happened within relationships with other people, this is the process that is occurring. You are being prepared in so many ways, to be in acceptance of your Divinity within your physical body to allow the frequencies to be within you. You are now at the crossroads, as we have been saying previously. 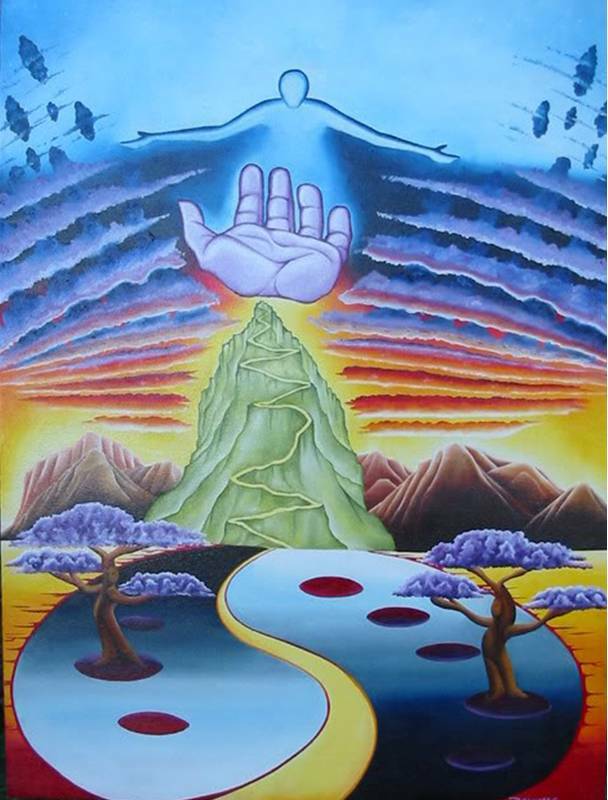 Within these crossroads, is the activation of the part of your Being that has been missing. Some call it the Missing Puzzle Piece. Some call it not knowing what they are doing. Some don’t call it anything and just feel that frequency within, but unsure what they are going through. Some feel it Physically, Emotionally, or Mentally, and those of you that have been doing the intense work have been feeling it on a lesser degree. Congratulations, if that is the space that you are in. This week is in preparation for the next month as you are coming to a closing of the month, there probably were avenues within you that have opened up, that you were unsure that was occurring. If you have been hesitating in what it is you need to be doing, because your mental mind has been in the way, then that is only going to cause more confliction. It does not mean you should jump, when you are not ready to jump, but you are in the preparation stages to allow that frequency to come fully within you to prepare yourself for the next step of your journey. Each of your journeys are different, but they are very similar. They are very similar because you are being opened up to see the potentialities that you have, and this potential frequency coming through your body can change in a moments notice, depending on the acceptance or the rejection. This is very, very important to be in a State of Beingness. As you are coming more into Mastership, you must allow yourself the process that you are going through. This process can be a very difficult one, and within the process you may forget some of the elements that need to be actualizing. What are these elements that you are not allowing to have the full potentiality within you? It is different for each of you. What does that Female side part of you say? Do you feel the intuition? Do you feel the acceptance within you? Let’s take a deep breath. What does the Female say to you? Is there something that you need to be doing for your self to bring forth more acceptance within your Heart? Let’s us now go to the Male side, which is the right side of the body, and allow yourself to connect to that male energy within you. Is it analytical? Is it categorizing elements? Is it stopping you from fully walking into the pathway that is necessary? This pathway may be just a small little conversation, it doesn’t mean that you are jumping fully off the cliff, but you are preparing to do the jump. What is that you need to bring forth to allow this frequency to be within your Body, your Mind, and your Spirit in full balance, full balance within all those aspects? If you are fully allowing your Mental side to take a back seat, and communicate with the Female side of what the elements that he feels needs to come up, and then the Female side reacts, doesn’t react, interjects her energy with the male side, there sometimes can be a dialogue between the male and the female. What we are looking for in the coming month is BALANCE. It’s going to be essentially important for each of you to understand what is occurring for you on many different levels. Because you are becoming multi-dimensional beings and within this multi-dimensional frequency, you need to accept all the different aspects that are occurring within you. Some of the aspects you need to remove, and some of the aspects you need to activate. This is what we are going to help you with this evening. We want to help you to accept and activate what is necessary, and to release and reject what you no longer need and sometimes you cannot understand what that is because you are not fully in your complete balance state. So let’s take a deep breath. Within that deep breath we are going to open up the Thymus area. We are going to ask that the Thymus Chakra spin in a clockwise direction, and as it does were going to bring in that Seafoam Green. The Seafoam Green is representative of Lady Isis and Resurrection. Allow that frequency of that Ray to come fully within your Thymus, like right in front of you, you see this beam of the Seafoam Green gentleness coming through you. Breathe that into your Thymus area, and allow it to spin in a clockwise manner. As it spins in a clockwise manner, it is going to filter down into your Heart, and allow the Heart and the Thymus to blend together. Then we are going to filter it down into the Solar Plexus. Now let the Solar Plexus, the Heart, and the Thymus to become one unified chakra, as it is on the 5th dimensional frequency within your body. Allow those three elements, because we have the Solar Plexus: which is your Inner Power, we have the Heart: which is the activation your Male and your Female, and you’ve got the Thymus, which is the Communication. So let’s take those three energies of your inner power, fully come into all the aspects, and then come into your Throat. I want you to vibrate within your Throat, bring forth the sound of “AAH”. So allow that to come through us, “AAH!” I want you to start from your Solar Plexus, bringing the Seafoam Green up into your Heart, and then into your Thymus. What do you feel? Is it an acceptance, or rejection? Just feel what is happening, not any mental thoughts, not any emotions, just feel the vibrations. Let’s do the bowl for a couple of minutes and then we are going to bring in the cosmic energies to continue this exercise. Allow that vibration to fully incorporate into your entire frequency. Allow the frequency that you are to be fully activated. Take a deep breath. As you bring forth this level of vibration, we want you to tune into your Solar Plexus. As Lord Sananda has been sharing with the Seafoam Green, we want to balance these areas to prepare you to receive the higher levels that are part of the processes within you. As you allow that to expand this within your being, you allow the frequency that you are to fully be in the acceptance mode. Sometimes your body is just not ready to receive because of the elements that are occurring within you. As these elements are occurring within you, it can cause great constriction and fluctuation. As these constrictions happen, they totally are not in the balance of the male and the female. This is what we are trying to bring forth to you in this moment. Just breathe and receive. Breathe and receive. Breathe and receive the light that you are. Feel the acceptance. Feel your higher self now come fully into your body. Feel him or her within your crown and settling in to your Third Eye, into your Throat, into your chest, into the Thymus, and into the Heart. Feel the vibration in the Thymus. Feel the essence that you are. Feel your emotions and acceptance, and feel the male and the female in a blissful state of union. Allow this blissful state to fully incorporate within your full body system. Allow this frequency to come through your entire level. Let it now go into the deepness of your heart into the core of your Lotus Heart. Allow it to go into the cellular level and to remove any debris that is not compatible with this Frequency of Light. Breathe deeply. Breathe deeply acceptance is necessary in this moment. Let us now go into the Solar Plexus. Let us now feel the frequency within the Solar Plexus. What is it that is occurring for you with the Seafoam Green in this vibration of the Light. Allow it to go into your Solar Plexus, feel yourself empowered. If it does not feel empowered, REJECT the emotion, REJECT the thought, let it leave the Solar Plexus. Allow yourself to feel the empowerment that is you. Breathe deeply into that area. Breathe deep. Now let’s go into the Heart and then up to the Thymus and feel those three chakras together; what we are going to do is allow that expansion to go completely around you in a clockwise manner. Just feel the frequencies of the light changing into the full level of a huge ball of light of Seafoam Green and then it is going to go up to your Third Eye, and then down to your Sacral. Allow it to incorporate all those energies, and then go up to your Crown and down your Root. Allow yourself to be one ball of Seafoam Green. If you feel any conflicting emotions or thoughts, allow the Seafoam Green to dissipate it, as the Female and the Male incorporate the beauty that you are of the sensibility and the frequency of the higher levels of your vibration. Allow the mind to relax. Allow yourself to just Accept, ACCEPTANCE is your word right now. I want you to breathe and accept the energies as we use the bowl for a few moments. Now allow that vibration to fully go down to your feet, and fully into your Soul Star, and down into your Earth Star. Allow it now to spin on the outside of you, allow that frequency to be totally around you ~ the Seafoam green is now fully within you, now let’s feel the frequency that We Are. Feel the Purity and the Joy as now your Higher Self is activated within your Thymus, your Heart, and your Solar Plexus. Breathe into that area, breathe into that frequency. I want you to take a deep breath, within that deep breath; I want you to feel that essence of your soul. I want you to feel your Higher Self; I want you to feel the frequency that you are on a higher level than you have ever felt before. Allow him or her to whisper to you. Feel the acceptance, as they are fully happy to be within your body. Breathe ~ Breathe ~ Breathe and accept this Light that is you as we impart to you as the Divine Mother and Divine Father God of the Cosmic Great Central Sun at your service. Allow this to be the start of the balance that is necessary. Now let us fully bring forth the frequencies of light of the Golden, feel that Golden Ray coming into your Heart of the Christ Consciousness that You Are. Allow that to filter within you, into all aspects of your being of your physical, and it goes into the organs, and the cells, and the muscles and the tendons, into the bone structure, into all areas of your physical existence. You are vibrating with the Golden and the Seafoam Green, cleansing in the purity of the Christ within you. Allow it now to move from your Earth Star outwards into the Etheric level. Allow that debris, and the dross, and the negativity that can be held in the Etheric level to be removed as now the energy just expands outwards from your Heart, your Solar Plexus, and your Thymus, and then it’s encompassing around you. It’s going down, it’s going out, it’s going across, and behind you, and you feel this purity and this light of whom you are to be fully accepted within your being. Now it moves farther out into your emotional level, and all the emotions that have been out of balance are fully going to come into the purity of the God Essence that you are. You feel the activation of your soul’s presence more fully within your body than you ever have in your Emotions. Now let it to go to the Mental, allow the mental thoughts to be dissipated, and allow the activation of the mental level of the Male Essence, the Yang that you are, to balance within the Female Emotion, as now the bodies are all blending together. The Spiritual body is now activated, and we bring forth the light frequency to bring in the Spiritual with the Mental into the Emotional, the Etheric and the Physical. So there is no separation in this moment. You feel your Earth Star, you feel your Soul Star, they’re spinning together simultaneously as you activate all these frequencies in this moment and feel that blessing that you are. Feel the frequency and the Light expand within you. Feel now the acceptance within your Heart. Feel your Thymus. Feel it coming to your Throat. See yourself in a situation in front of you and now you’re empowered so greatly, you’re able to speak your Heart and your Mind in a balanced manner, as you are now fully activated with your Soul’s Essence within your body! Allow yourself to now feel that and to express it to another and others in all that You Are. Express yourself now through the voice. If you need to vibrate in the voice and the throat, do the AAAH! AAAH! AAAH! AAAH! Now breathe, we bring the vibration all the way down to your Earth Star. Allow the vibration to go through the feet into the ground below. What we are going to do now is ground these energies, so it’s not such a high frequency and it throws you off. I want you to ground it down into your Earth Star, feel the Earth Star spinning deeper and deeper into the ground, into the core of the earth as we send it to Gaia. So we all become part of the oneness, and the higher frequencies of the God Essence that you are. We are One in this moment. As your Male and your Female are now fully activated in the balance and the frequency, you feel the love, you feel bliss, you feel joy, you feel acceptance. There is no rejection anymore, because you have let go of those elements, you are fully in balance with your Male and your Female, completely within your Heart. You feel the Core of your Heart. You feel the Lotus, and the expansion of that flower that is you, as it expands outwardly out of you, and shines outward to the world. You see yourself in front of the mirror, you see the beauty that You Are. You feel this Essence, you see this Light Body, and this Light Body is filled with many different colors that is the frequencies that we have brought in. Yet, it is so much more, so much more than you ever thought that you could receive. Just expand with those thoughts, allow yourself to fully feel this Essence that You Are. This is the essence that you incorporate when you visit us on the inner plane level. Now we are bringing it more into your conscious space. Allow that conscious space, and see it grow out beyond you of the location that you are, so that you send this out 15 feet outside of you. Allow that expansion, now you bring it back in, and you allow yourself to close up the energies to be just you. So this is exactly what you can do, you can take this expansion, and allow it to grow outwards when you are traveling, or when you are with others that you want to send the Light. Feel this now, feel the essence of the 5th dimensional body being activated within you. Breathe through that. Breathe through this love. Breathe through this joy, harmony, all the positive aspects of your light frequency fully embodied within your physical. We are the Divine Mother Father God of the Cosmic Great Central Sun to assist you with this process, allow us to embrace you in this moment. Allow yourself to embrace yourself, as you bring forth into your acceptance. I now activate my Light Body in all aspects. It is our divine pleasure to be with you in this moment. Embrace the Light that you are, as we see it shining so very brightly. In the name of the Holy God of Host, in the name of YHWH, the Creative Source Of Oneness. We are in honor of your awakening, and teaching others. This is quite an activation; it is one that can be used again and again to help you balance the energies in the next month as you come across your challenges, because there are going to be challenges. The challenges are about your own pathway, it may be a personal level, if that’s where you are in your initiation process. It may be a professional level, it may be able to speak your truth with love and compassion. Allow this to unfold within you, and you will see a great difference in how you interact and accept all that you are. It is my pleasure to be the Spokes-Being for the Christ Consciousness. I am honored to be with each one of you as we are together in oneness.